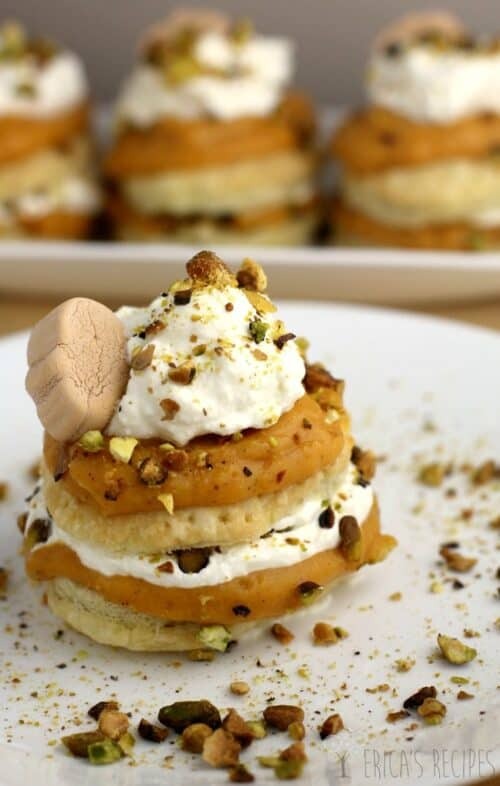 Pumpkin Pistachio Napoleon with White Chocolate Ganache. Dreamy pumpkin pudding and decadent white chocolate ganache, layered with buttery puffed pastry and pistachios make this easy, fall dessert such a special treat. This post was sponsored. Because it’s fall and we gotta bake. OK, so I do not do desserts like this often, right? Like r-a-r-e-l-y. Other than ice cream. Because ice cream rules. 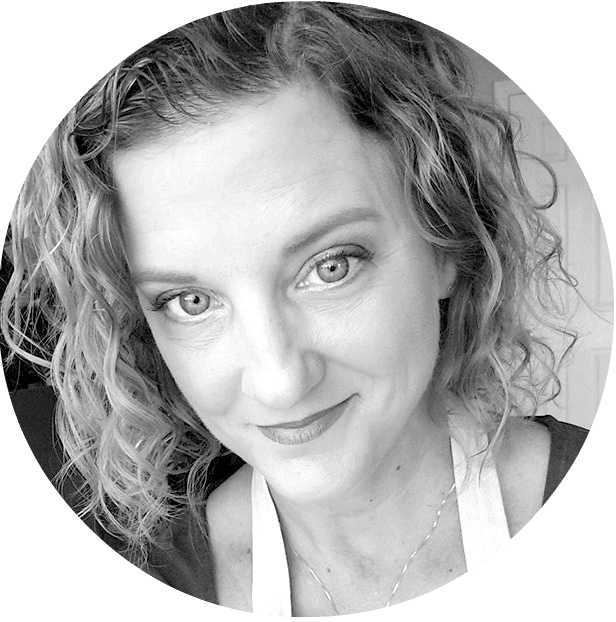 …Baking is just really not my thing, and I do not have much of a sweet tooth anyway. But I love you guys and I know you love pumpkin because everyone loves pumpkin including me too …so I wanted to check the pumpkin box for yuh since it is “that time”. 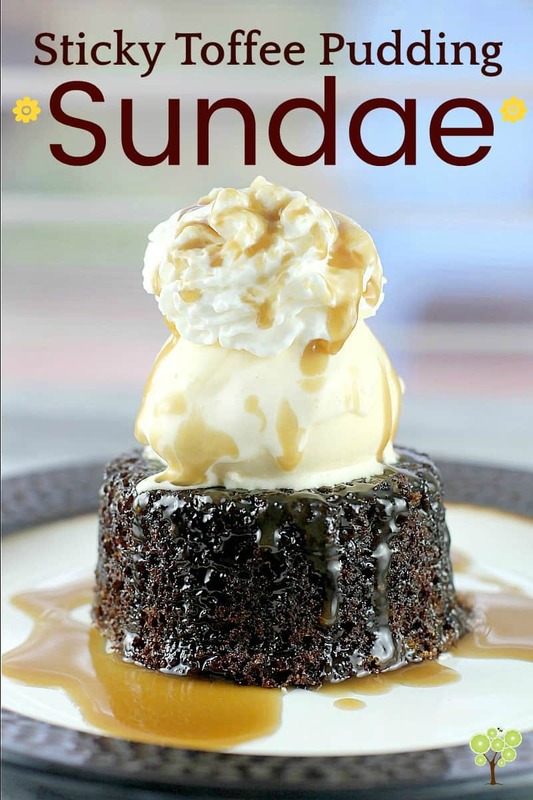 But guys, I am telling you that this dessert is out of this world. It came out so far beyond my expectations that I am literally giddy. The flavors here are just WOWWWW. So so incredibly good. And this recipe is cheap, it is easy, everything can be scaled up, and the components can all be made in advance, so this one is great for entertaining too. First, we start with puffed pastry. Because puffed pastry is fun and tasty and I am always looking for new ways (excuses) to use it. Then we have a super easy pumpkin pudding that almost did not even make it to the dessert because I was eating it by the spoonful. Tasting and tasting. It is so good. I used JELL-O Vanilla Instant Pudding and added pumpkin and spices to that, instead of buying pumpkin spice pudding. I tend not to like purchased “pumpkin spiced” stuff because something always tastes off to me. So this recipe let me do the spicing, keeping my inner control freak happy. Yum yum yum. Then pistachios. And then a lovely-squishy-fun little JET-PUFFED pumpkin marshmallow. Because I couldn’t resist. That’s it kids! This dessert is easy to make and yet one of the crazy best things ever. 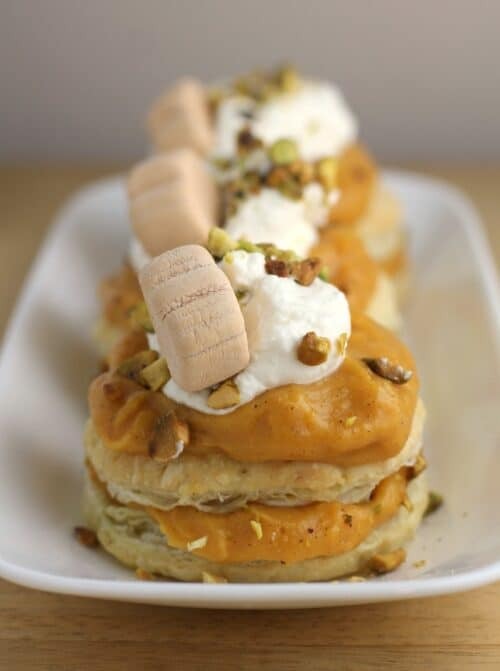 So usher in fall, satisfy that pumpkin fetish, and come out a rock star with this Pumpkin Pistachio Napoleon. 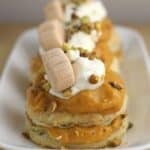 Dreamy pumpkin pudding and decadent white chocolate ganache, layered with buttery puffed pastry and pistachios. 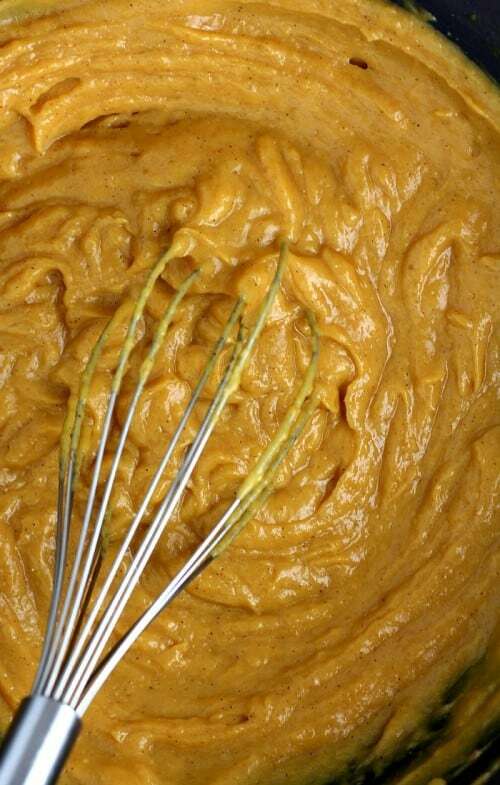 For the pumpkin pudding, simply whisk together the pumpkin puree, milk, pudding, cinnamon, ginger, nutmeg, and salt. Chill until ready to use. 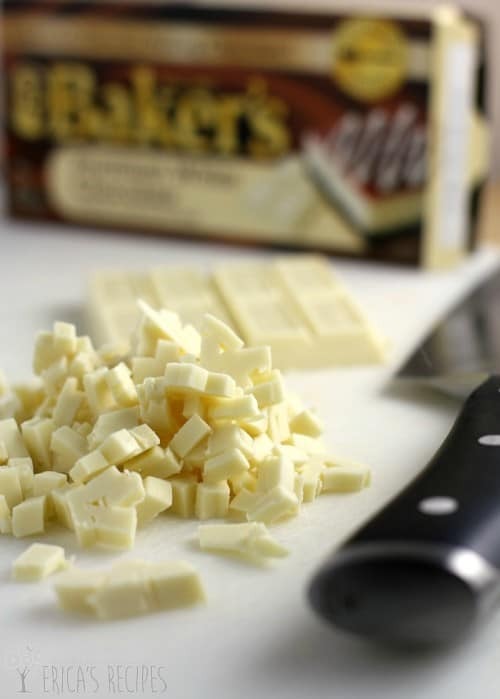 For the ganache, put the white chocolate in a glass or ceramic bowl and microwave for 1 minute. Remove from the microwave, add the coconut oil, and stir until smooth. 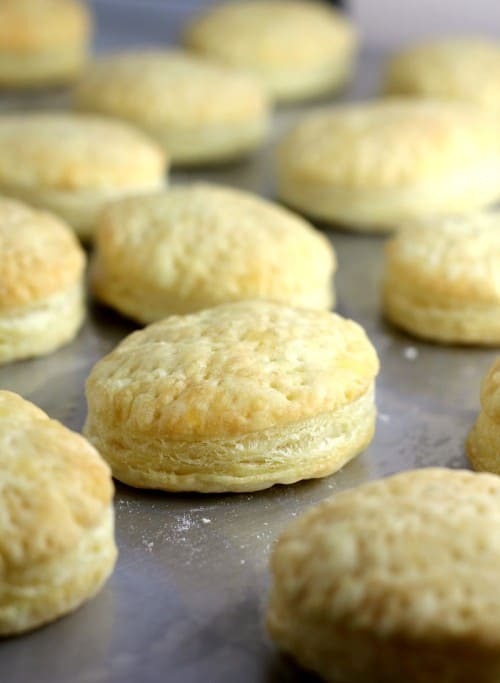 Let sit until cooled to room temperature. Add the heavy cream and vanilla to a chilled glass bowl. 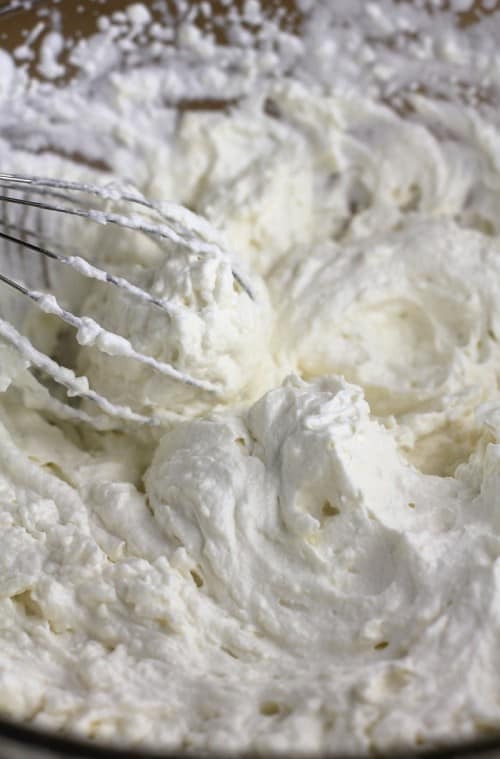 Use an electric mixer to start to beat the cream. Once the cream starts to thicken, add the white chocolate mixture, drizzling in a very thin stream all the while beating the cream to medium-stiff peaks. Chill until ready to use. Unfold the puffed pasty onto a large bake sheet. 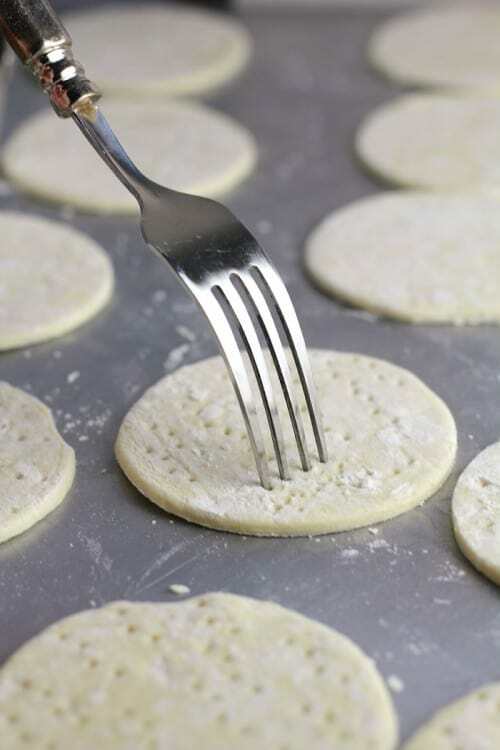 Using a 4-inch biscuit cutter, cut 9 circles in the dough, discarding the excess. Prick each round all over with a fork. Bake at 400F for 15 minutes or until golden. 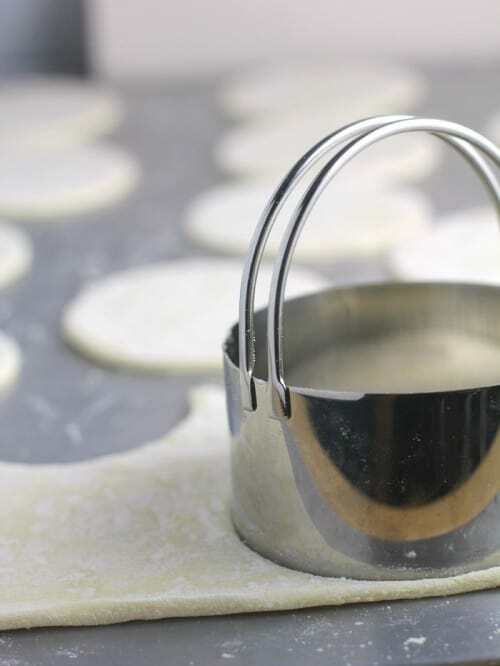 Once cool enough to handle, gently use a fork to split each pastry round into a top and bottom. 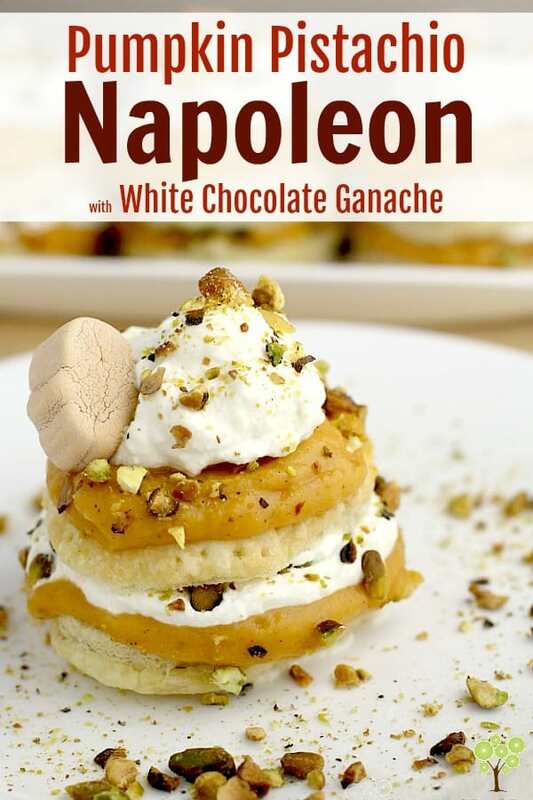 To assemble the napoleon: place a small bit of white chocolate ganache on a plate to anchor the pastry. Place a bottom from a split pastry round on the ganache. Layer pumpkin pudding, then ganache, then a sprinkling of nuts. Top with the top part of the pastry round. Layer more pudding, ganache, and nuts. Garnish with a pumpkin mallow. Repeat with the remaining ingredients. Yields: 9 servings. I’m w/ you, I don’t generally have the patience for baking desserts but I am a pumpkin lover and this does look pretty darn delicious and easy so i think I can handle it! Well, unlike you, I have a mad sweet tooth and LOVE to bake so these little babies are right up my ally! I would devour these!! Love the flavors in them too!! What a fantastic fall dessert, Erica! Fall is my favorite season, flavor-wise. 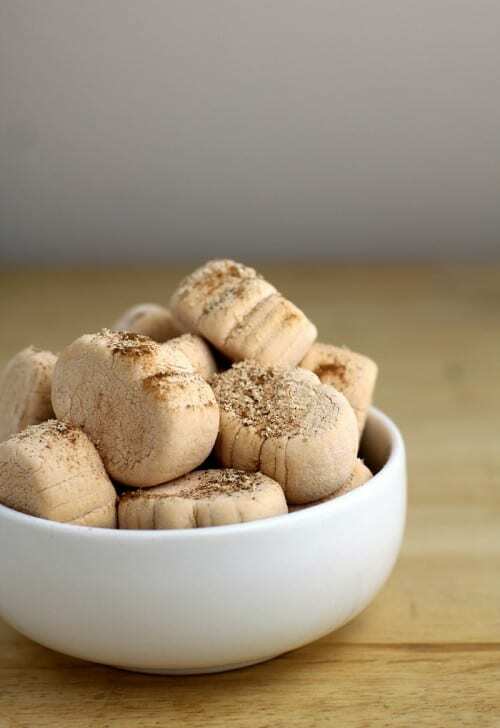 I just adore pumpkin, cinnamon, nutmeg…all of it! I can’t wait to try these! Those look so good! I love that you added pistachios. Pistachio is one of my favorite flavors! This looks amazing! Pistachio is my fave. This looks and sounds ahhhhmazing! 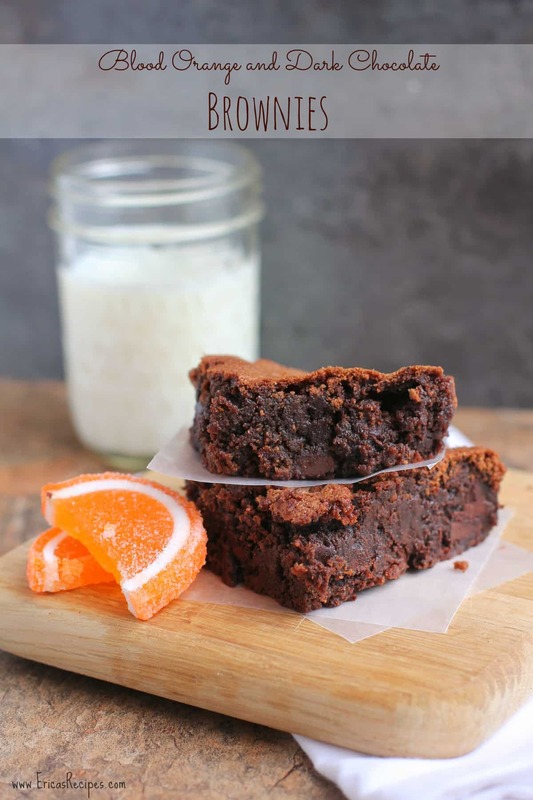 What an incredible dessert Erica…perfect for upcoming holiday dinners and parties! I love eating sweets like chocolate, I’ve never tried it and now I’m curious about it taste. I’m gonna make your recipe. Wow! This looks and sounds AMAZING!! What a gorgeous dessert! This is an amazing dessert. Each layer sounds so scrumptious. Bring on the pumpkin desserts! This would be a great dessert for a Fall party and looks like it’ll come together quickly! Yes, please!! This is such a creative and fun fall dessert! Can’t wait to try it! Wow! I just love how unique this pumpkin dessert is! It definitely stands out from all the cookies and pies right now. 😉 Looks amazing! That’s a layered bit of heaven right there. It just gets better layer by layer too! What a wonderful and creative dessert!! Just perfect for the season. I’m thinking these beauties are about the best things looking food I’ve seen all day; awesome job with this one!! 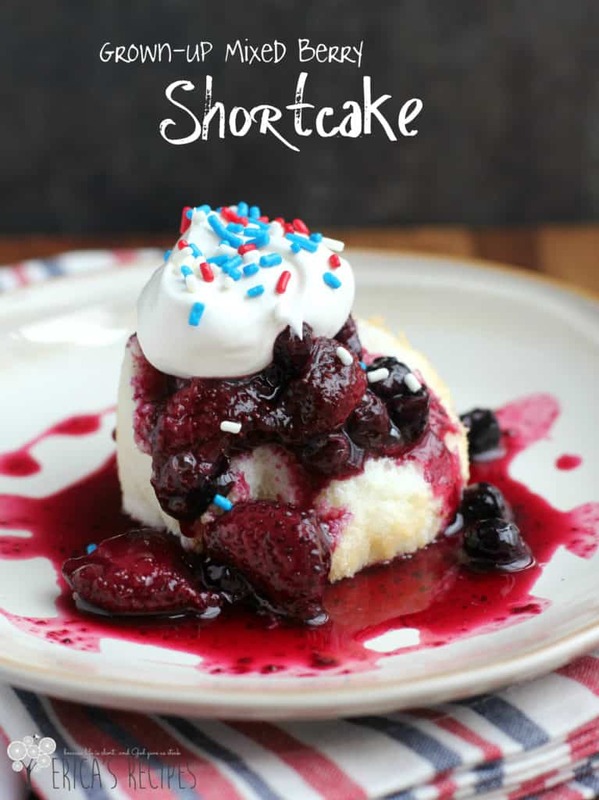 What a great and fun recipe this is! I personally liked the pumpkin spiced pudding so I would use that in this recipe!